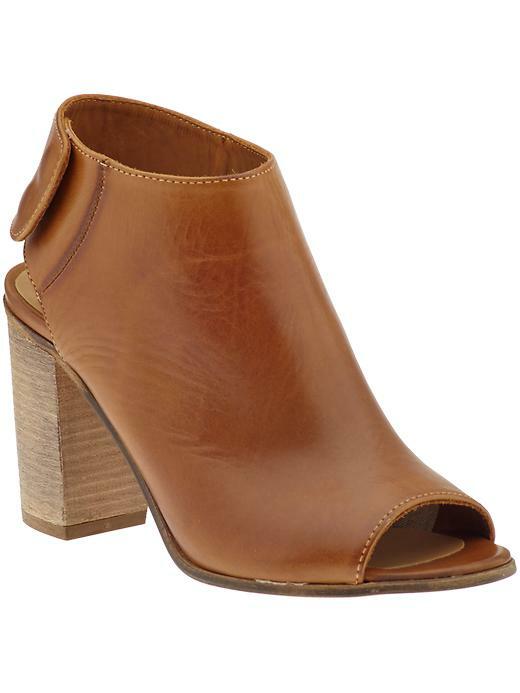 Tracy's Notebook of Style: Splurge v. Steal: Peep-Toe Bootie for only $35!! As you can see from the picture, the sides are open slightly because only one snap was buckled. Both of the snaps are buttoned and you can see the the buckle is still not flush with the bootie, which could be a problem if you are wearing jeans...but, that being said, I'm still going to buy a pair, LOL. (although, you can see the coating in this picture). These are hot! I want the blue ones, I actually like the cheaper AND expensive pair! LOL. I'll be hunting down Target soon. Thanks for sharing. I love this style and fingers crossed they fit our oddly shaped feet, LOL. 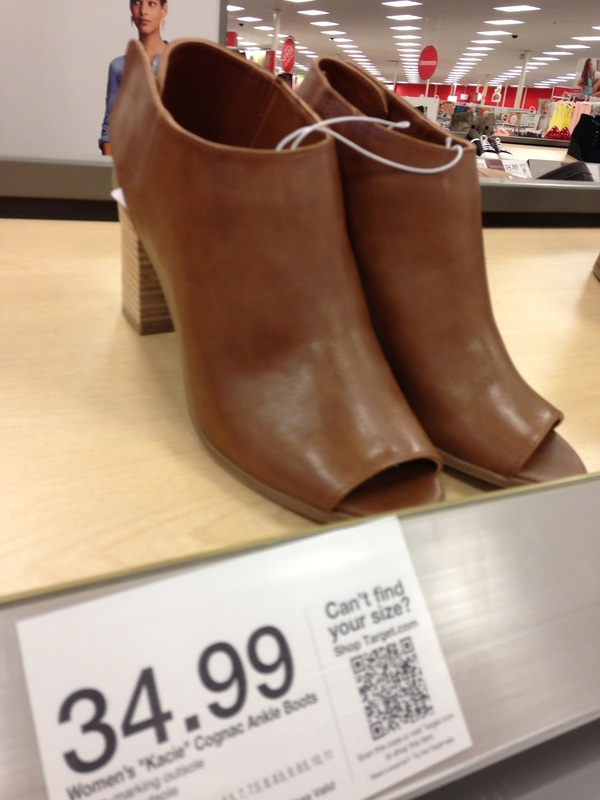 Ahhh those little booties are going to haunt me until I get to a Target. I definitely need those babies in my life! I see that you found these in store...can't find them. Anyone else seeing these in store and where? I tried these on the other day thinking that they would be uncomfortable to walk in. Surprisingly, they are really easy to walk in! I don't wear heels at all. I only have one pair that the heel is almost 2 inches. However, I did not buy them. 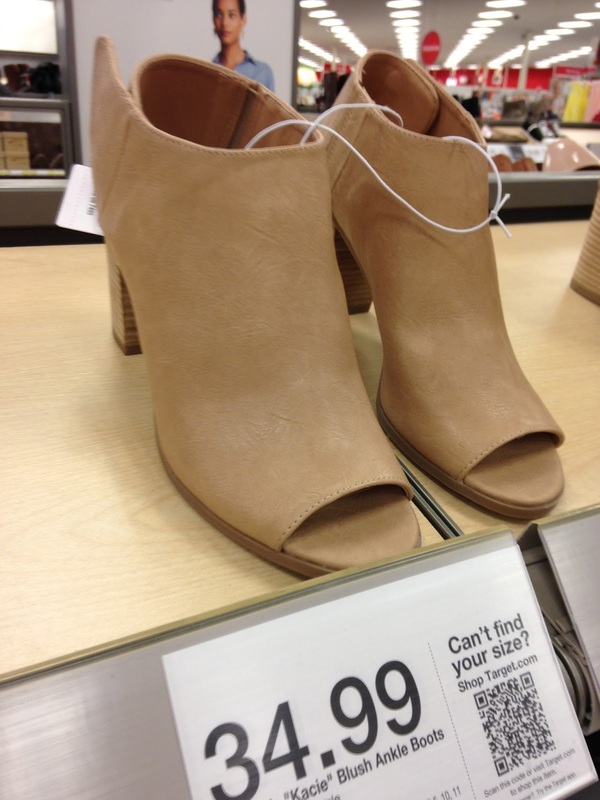 Maybe they will end up in my closet one day if there is a sale on these booties!